The 2010’s was a critical period in the continuing, established trend of the spread of democracy worldwide: from the Arab Spring countries of Tunisia, Libya, Egypt and Yemen to the unfolding turmoil of Myanmar and Ukraine, by way of the upheavals in Burkina Faso, Senegal and Ivory Coast, social mobilisation against autocratic, corrupt, or military regimes has precipitated political transitions that are characteristic of "democratisation." 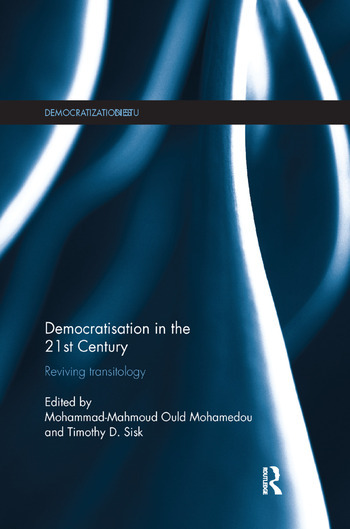 This book examines the state of democratisation theory and practice that reopens and revives the democratic transition debate, exploring the factors that lead to the demise of autocracy, the pathways and processes of change, and the choice for an eventual consolidation of democracy. For all its insights and shortcomings, the framework of transitology – a body of literature that has comparatively and through case-study analysis, examined common patterns, sequences, crises and outcomes of transitional periods – has been largely eschewed. The essays, written by international democratisation specialists, tackle the series of questions raised by a body of literature that remains highly useful to understand contemporary political turbulence and transformation, considering numerous crucial issues. This work will be of key interest to scholars, students and practitioners of governance, democratisation, comparative politics, international relations, political science and more broadly, history. 5. Democratisation in the Asia-Pacific: Two Steps Forward? Mohammad-Mahmoud Ould Mohamedou is the Deputy Director and Academic Dean at the Geneva Centre for Security Policy and Adjunct Professor in the International History Department at the Graduate Institute of International and Development Studies in Geneva. He is also Visiting Professor in the doctoral school at Sciences Po Paris. Timothy D. Sisk is Professor and Associate Dean for Research at the Josef Korbel School of International Studies, and steering faculty of the Sié Chéou Kang Center for International Security and Diplomacy, University of Denver, USA.